There are many super large TVs that are now available in the Philippines -- but currently, there's only one that's a whopping 105-inch across, has Ultra HD resolution, and flaunts a curvature that gives a truly immersive movie viewing experience. Launched at the Ayala Museum in Makati City last May 14, 2015, the spectacular LG 105UC9 boasts of a resolution of over 11 million pixels (5120 x 2160) - five times more than on a Full HD TV - and CinemaScope 21:9 aspect ratio, delivering ultra-sharp, lifelike images all over its magnificent 105-inch screen. I was right in front of the TV when LG executives unveiled it and the first time I saw the display, I was absolutely impressed. As a tech blogger, I've seen many, many large Smart LED TVs ever since these products first became available locally and I have to say that this one sits right on top in terms of overall visual impact. 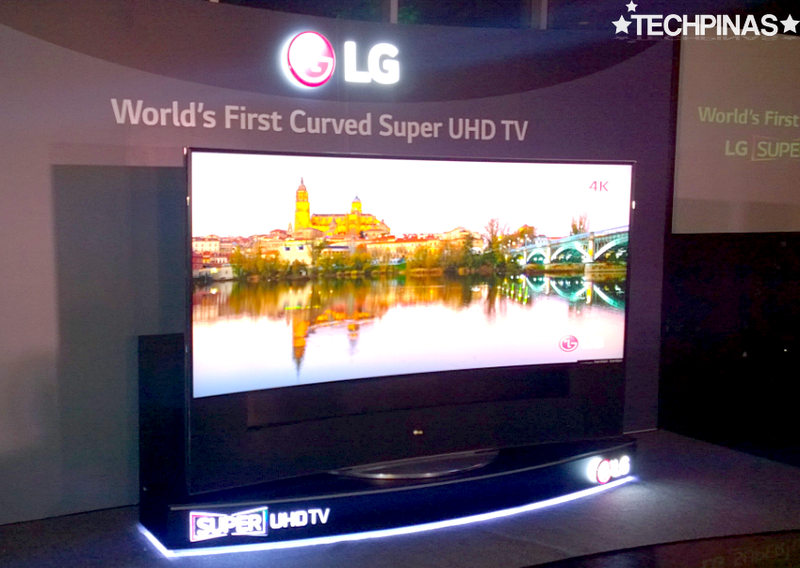 The superior picture quality of the 105UC9 is perfectly complemented by LG’s True 5K Engine Pro and IPS 5K Panel. According to the Korean Giant, the former eliminates visual errors and can upscale lower-resolution content into near-ULTRA HD quality, while the latter provides consistent contrast, true-to-life colors and a wide viewing angle. Apart from its exceptionally large display, the 105UC9 also comes with a handful of features that could very well make it the best TV that LG Electronics has churned out so far. Superiority comes in full circle with impressive audio - Sound quality is certainly not compromised as the 105UC9 sports a built-in 7.2-channel, 150W sound system, ensuring a powerful and rich audio experience. 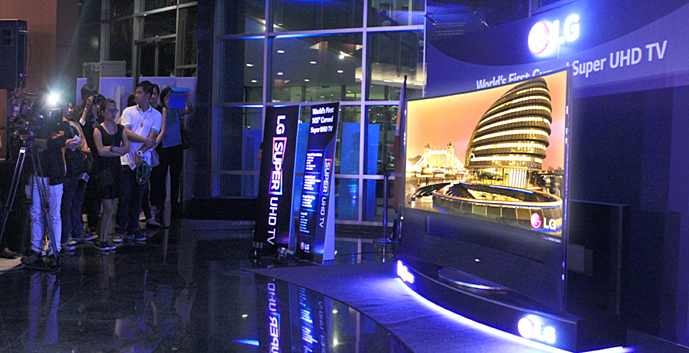 It also incorporated LG’s ULTRA Surround concept developed in partnership with audio manufacturing leader Harman Kardon. The multi-channel system harmonizes with the TV’s 21:9 CinemaScope screen with a sonic performance worthy of an actual movie theatre. Enhanced by the highly immersive curve and 3D technology - With the same aspect ratio as a Hollywood motion picture, the 105UC9 CinemaScope 21:9 screen recreates the movie experience in the home. The curvature of the display has been carefully calibrated to maximize the immersive ambiance. And by combining Film Patterned Retarder (FPR) 3D technology with extremely high picture resolution, LG’s 5K 3D+ feature offers unobtrusive and compelling 3D viewing pleasure. Thanks to the 5K 3D Upscaler, content in SD, HD and Full HD is converted into crystal-clear, near-ULTRA HD resolution. User experience in the highest level of intuitive - The 105UC9 promises a greatly satisfying user experience via LG Smart+ TV, which is centered on the intuitive webOS platform. LG’s webOS makes everything simple and fast, whether it’s switching between content; discovering exciting new shows, apps and services or connecting to media stored on external devices. And with the help of the endearing, animated BeanBird character, webOS also makes the initial setup and connection process quicker and much more enjoyable. 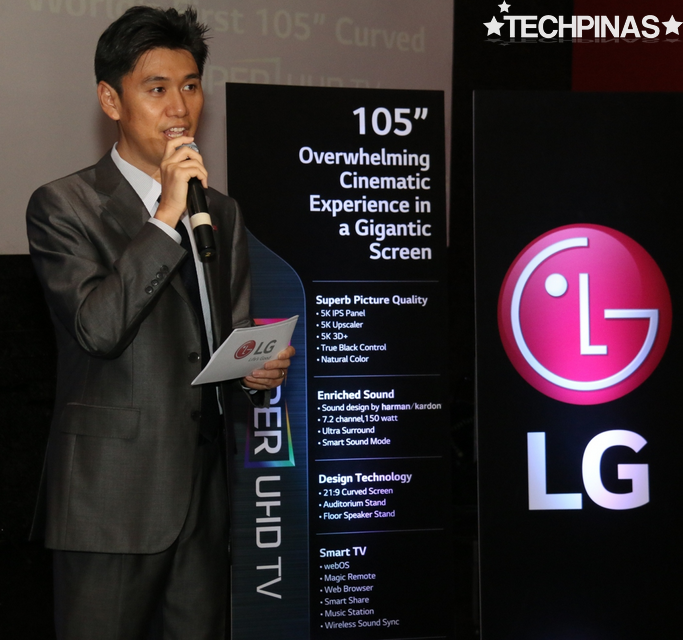 "We are thrilled to bring to the Philippines the newest and most spectacular innovation of LG, the 105-inch CURVED Super ULTRA HD TV. 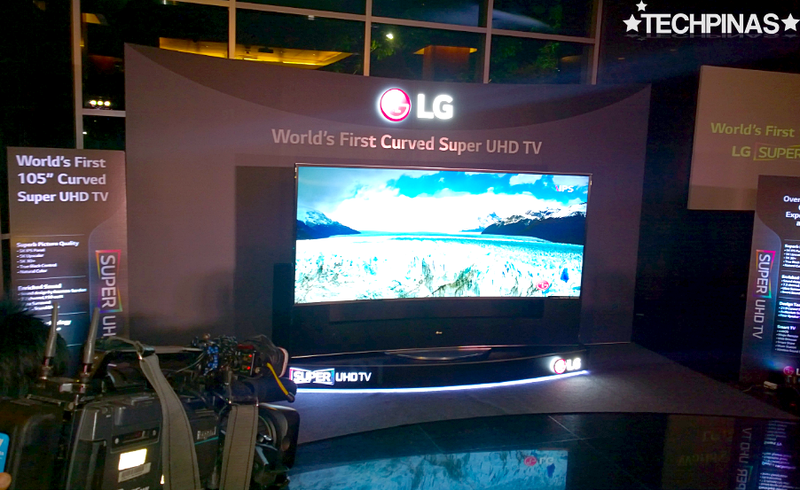 Last December, we launched the country’s largest 98-inch ULTRA HD TV. This summer, we take it a notch higher and reinforce that it’s all possible when you bring today’s most advanced TV technologies together. The vision behind the 105UC9 was to bring the movie theatre into the living room, providing the optimal home entertainment experience for our consumers," shared Mr. Hoony Bae. OK, so LG 105UC9 is now available in the Philippines but how much does it cost exactly? 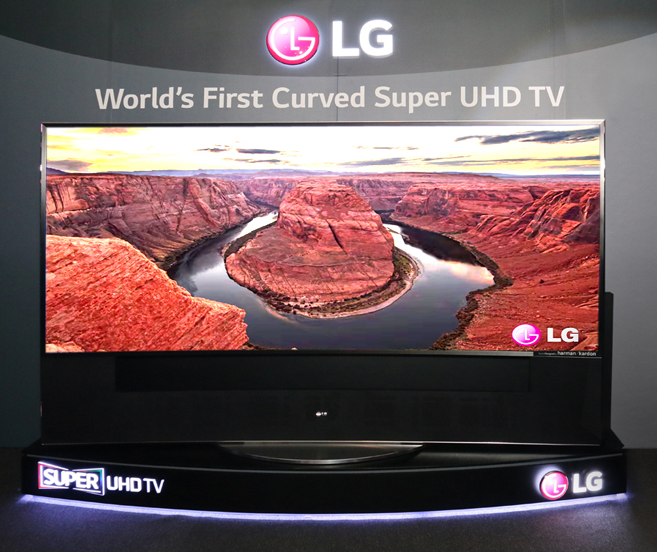 Well, when it was introduced at the Consumer Electronics Show (CES) in Las Vegas earlier this year, LG disclosed that this 105-inch curved UHD TV will sell for a whopping $100,000 or around Php 4.4 Million with current conversion. LG Philippines hasn't given word on its exact official SRP but expect the product to be priced in that range. Yup, it's expensive as a house and lot in the outskirts of Manila -- but hey, if you can easily afford one for your gorgeous living room, then why not?